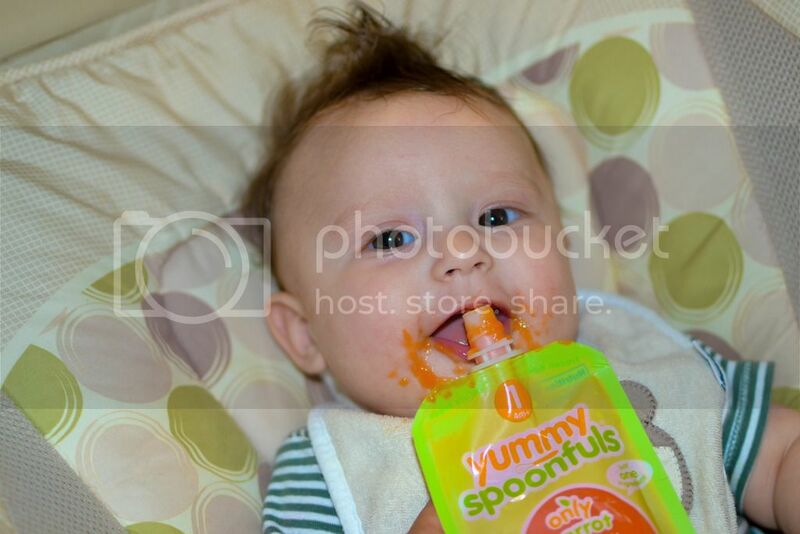 It’s one of the greatest milestones a baby reaches– his first solids! This week I took the kids to the doctors and they did the routine; Ziana trying to talk the doctor into not giving her a shot, crying because she got a shot, making sure Gunner is growing and then getting the okay that he is now ready to eat solid food! I’m not happy that my little boy is already growing up, but nonetheless it’s still a very exciting moment in his life. 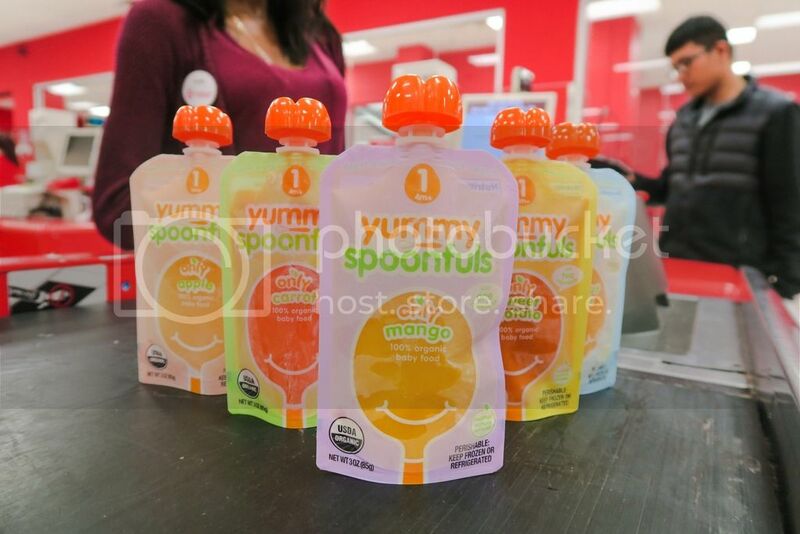 A few weeks back I was honored to work with Target in speaking to the founders of Yummy Spoonfuls, Agatha Achindu and Camila Alves. 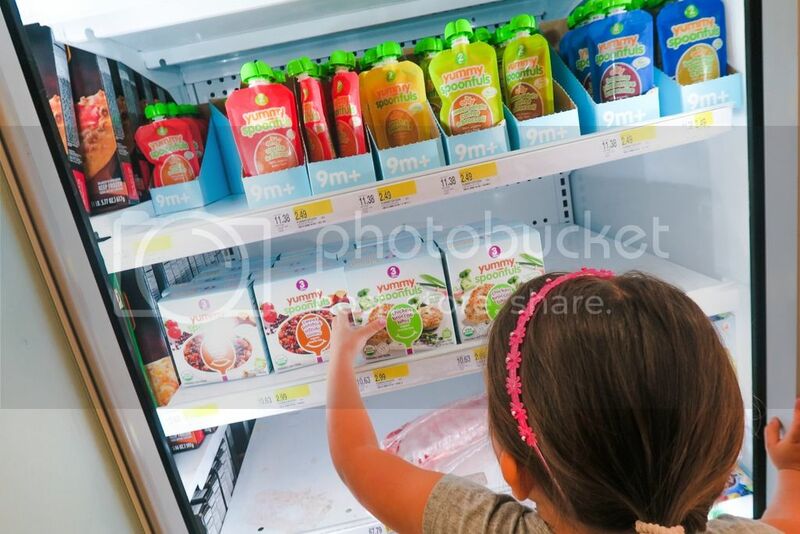 Yummy Spoonfuls is an all organic, frozen baby/toddler foods. I know when you hear organic you say what many of us probably say, ‘not another “organic” brand.’ But this isn’t just another “organic” brand, it actually is organic. Many brands claim to be organic, but when you turn the packaging over it has tons of ingredients listed, which aren’t organic. However, if Yummy Spoonfuls says it’s carrot, all you’ll see in the back packaging is carrots. Nice to see that for a change. What makes this brand stand out is that it uses a flash-frozen format, meaning that after they cook the food, it is immediately frozen to make sure all nutrient will stay intact. Yummy Spoonfuls is the closest to freshly homemade food parents can feed their babies without having to spend the time making it themselves. And with Target continuously focusing on improving its Baby and Wellness category this partnership just makes sense. o Stage 2 – ($2.49/pouch, $8.49/4-pk): Designed for babies 9 – 12 months; features optionsfor developing palettes. Sample flavors include Apple and Carrot, Butternut Squash and Pea, Mango Avocado, and Carrot, Sweet Potato and Broccoli. o Stage 3 – ($2.99/pouch, $9.49/4-pk): ($2.99/pouch, $9.49/4-pk): Designed for children 12 months and older; moving from pouches to trays, for kids that are developing self-feeding skills. Sample flavors include Beef Stew, Brown Rice, Pinto Bean and Turkey, Chicken Broccoli Bites and Carrot Lentil. 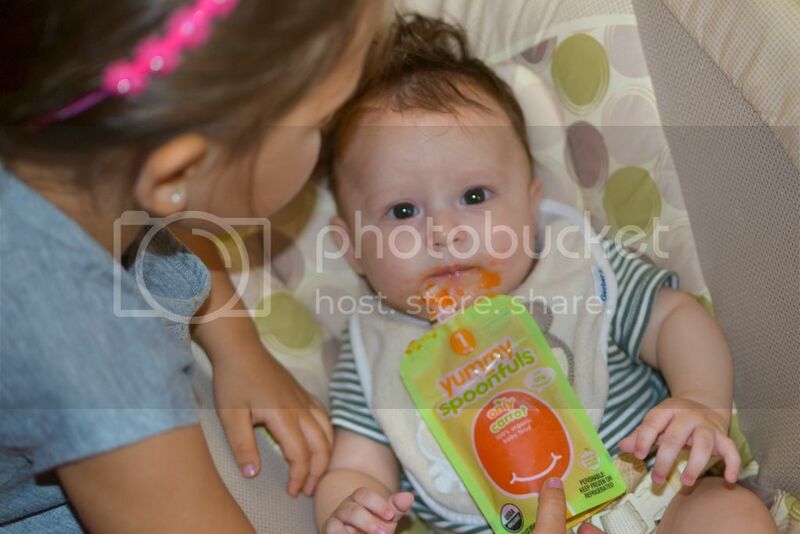 Betsy V, New York family & lifestyle blogger, uses Yummy Spoonfuls as her baby’s first solids!